Homiletics is the art of preaching. It involves how to prepare and deliver a sermon. Generally speaking, most preachers learn how to prepare a sermon in seminary - that is the science of homiletics. However, most preachers (myself included) fine-tuned their sermon preparation in the ministry. When you have two or three sermons to prepare every week, you will quickly learn the art of sermon preparation - homiletics. I have seen people deliver sermons in many different ways. However, technically there are only three ways to prepare a sermon, deductively, inductively and a bit of both. Grasp this truth and sermon preparation (Homiletics) will become a whole lot easier. The three parts of a sermon are: the introduction, the body and the conclusion. 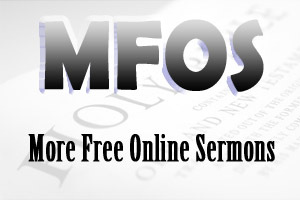 The introduction introduces the body of your sermon or the main preaching point of your sermon. The body of your sermon is your sermon outline or what you are going to talk about in your sermon. The conclusion concludes the sermon and reinforces the main preaching point of your sermon. I am absolutely amazed at how many preachers get this wrong. Once you have completed the study of the text of Scripture that you are going to preach, you will need to decide how you are going to structure your sermon. Are you going structure your sermon deductively? Are you going to structure your sermon inductively? Are you going to structure your sermon with a bit of both - deduction and induction? Once you have decided how you are going to structure your sermon, you will need to write a sermon outline. The sermon outline is your road map for your sermon. The sermon outline will help you stick to the main preaching point of your sermon. A deductive sermon outline begins with the main preaching point followed by sub-points and incidental points. An inductive sermon outline begins with the sub-points and incidental points and moves toward the main preaching point. An inductive sermon is generally used to preach the narratives. The following sermon outline (Romans 10:14-21) is mainly an inductive sermon outline but there is also deduction in the sermon outline (see point 2 below). The inductive sermon outline uses Lowry's Loop paradigm. Why did Israel not obey the message of the gospel? You know, that same gospel message is available to you today. Will you respond to the gospel of Jesus Christ in faith? Once you complete your sermon outline, you will need to write content to your sermon outline, an introduction to your sermon outline and a conclusion to your sermon outline. Some preachers deliver their sermon with no notes, some preachers deliver their sermon with brief notes and other preachers deliver their sermon with extensive notes. However you deliver your sermon, it needs to be you. Don't copy other people! Personally, I like extensive notes when it comes to preaching. Although I know my sermon outline intimately (I write my sermons from a grammatical and exegetical study of the text), nevertheless, I still take my extensive notes into the pulpit. It give me freedom to preach knowing that my sermon road map is right there in front of me. Homiletics! Learn it well and you will find sermon writing easier.